As dementia develops, it can often impair a person’s ability to participate in general daily tasks and activities. At UK Care Guide we’re often asked about dementia and how caregivers and family members can lessen the impact of the condition on everyday life and emotional and physical wellbeing. In this comprehensive article we explain why maintaining everyday skills and remaining active is so important – alongside tips to help carers to understand at all stages of the condition. What are the benefits of keeping active for people with dementia? There are multiple proven benefits of remaining active and retaining everyday skills for people living with dementia. Principally keeping occupied with quality mental and physical stimulation can significantly improve quality of life – not just for individuals with dementia, but for family and carers too. There are a number of important objectives fulfilled by activities –which can act as an opportunity for fun and playfulness. They can also encourage independence, social inclusion, communication or expression of feelings. For a whole bunch of more tips you can read our comprehensive guide “51 tips to help you live well with dementia”. What are the benefits of regular, varied activity for people with dementia? – Enjoyment and pleasure for individuals with dementia and their carers. – Retention of skills and independence for longer periods of time. – Greater opportunity for expression of emotion – individuals can better communicate how they are feeling and relieve the symptoms of anxiety and depression. – Opportunity for social interaction, reducing isolation and feelings of loneliness, promoting a sense of belonging and improved emotional wellbeing. – New activities can also result in shared interests, increased interactions and understanding. – Certain activities, roles and responsibilities will help a person to feel important and valued because it relates to past roles and experiences, such as raising children or helping around the home. – Physical activities can have a significant impact on health and wellbeing. Exercise is highly beneficial for physical and mental health and can improve the quality of life for people at all stages of dementia. Alongside this topic, also ensure you are thinking about managing your finances. You can read our guide to managing your money and finances here. What are the benefits to carers, family and friends? – Maintaining a better, more fulfilling relationship. – A break from the everyday caring routine. – Shared activities often provide mutual enjoyment and companionship, which can support the relationship between the person with dementia and their carer. 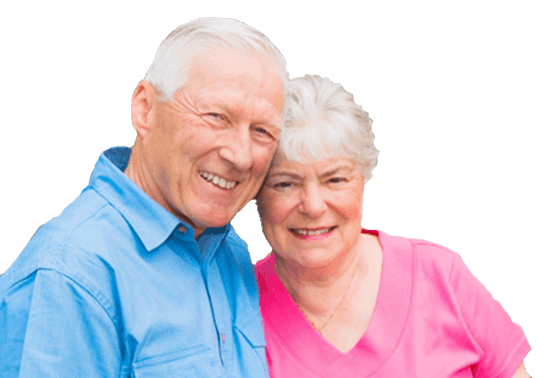 – Activities can encourage closeness between a person with dementia and people around them, which in turn improves feelings of comfort and security. – Engaging a person with dementia in meaningful activities may improve challenging behaviour – making life a little easier for caregivers. What types of activities are suitable for people with dementia? Planning activities for people with dementia requires a holistic and thoughtful approach. They should be varied, meaningful, enjoyable and personalised. Some can be linked to hobbies or interests that the person enjoyed before the diagnosis of dementia. For this reason it’s helpful to sit down and talk to the person with dementia to discuss the things they enjoy and any activities they might like to participate. This person-led approach enables you to take direction from them and find creative ways to adapt activities to suit their needs and preferences. Remember that the focus of the activity should be on whether someone is enjoying it and any meaning it has for them – so don’t get too hung up on the ‘result’ of the activity itself. Your plan needn’t be complicated – in fact some of the most beneficial activities are often the simplest. Everyday things such as taking a walk, cooking, singing or painting can help to preserve dignity and self-esteem. Tasks such as setting the table for a meal or folding clothes are often highly motivating – as this promotes a sense of purpose and belonging, helping a person with dementia to feel connected to normal life. Below we’ve compiled a list of categorised ideas to get you started with preparing activities for a person with dementia. It may be useful to go through these during your initial discussion to determine likes and dislikes before putting a plan together. Conversation is a fantastic example of a simple, easy to arrange activity that is both meaningful and beneficial for a person with dementia. It can take place in pretty much any setting, and with most people. This is also a great way for younger family members to engage with the person with dementia. Talking and verbal interaction has an understandably positive impact on the wellbeing of a person with dementia. Even if the individual is having difficulty with verbal communication, non-verbal communication (such as eye contact, gestures and touching) can be just as meaningful. The key here is establishing and maintaining a connection through the social interaction. Whilst talking can be a standalone, planned activity, it’s also important to try and involve the person with dementia in conversation at all times – not cutting them off or talking to others as if they aren’t there. It can be easy to do – especially when the person in question has difficulty following a conversation or repeats themselves frequently. Other people may assume that someone cannot contribute to a conversation just because they have dementia. If you’re struggling to hold conversations, try using different prompts such as a past job or a favourite sports team – reading a newspaper or magazine together, or using technology such as online videos of old TV programmes or events. Reading aloud can also be a good joint activity. 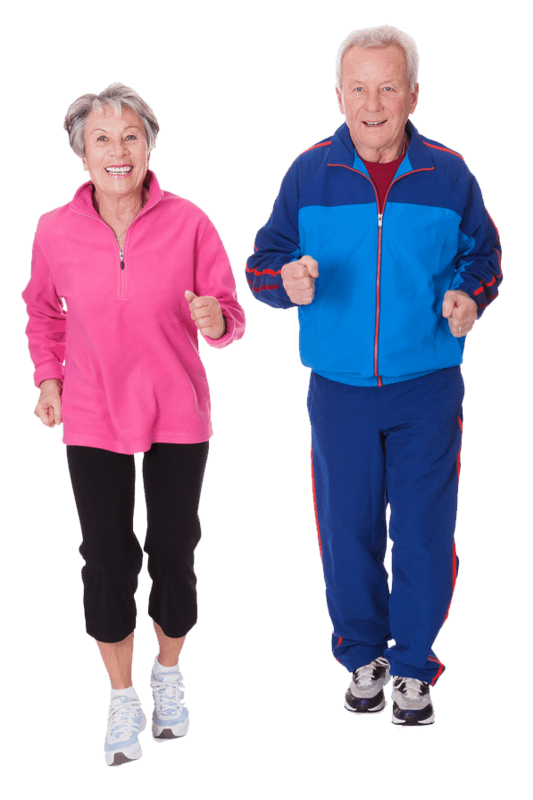 Physical activity has been shown in numerous studies to be of great benefit to people with dementia – as it stimulates the brain whilst keeping the body fit and healthy. Exercise doesn’t have to involve lycra and intensive training or weight lifting – just getting out and about is often enough for people with dementia, who tend to spend long periods sitting down. To avoid a sedentary lifestyle physical activities with added benefits include gardening, walking and swimming can provide perfect opportunities to get moving. Bear in mind that exercising together or in groups can also be beneficial to the person with dementia and anyone accompanying them. There are specialist groups specifically designed for people with dementia, adding a social element and some respite for carers. Exercise can still be beneficial in the later stages of dementia – and many activities can be adapted to help them to get the same enjoyment out of them with less exertion. For individuals with limited mobility activities such as chair aerobics or a seated game of bowls are great options. Creative pastimes such as knitting, painting, woodwork and crafts can be enjoyable and relaxing for a person with dementia and those supporting them. Even when these activities become difficult for the person with dementia it may be possible to adapt them – for example using an easier knitting pattern, or painting by numbers. Puzzles such as Sudoku, crosswords, card games and word searches have been shown to stimulate the brain and retain mental clarity – keeping severe memory loss at bay for longer. People with dementia often enjoy activities that keep their mind active – especially if they used to play games or puzzles previously. If they struggle it’s usually easy to adapt to their needs, choosing a simpler version or electronic game. This is why we are big advocates of brain exercises for dementia. It’s important to maintain a range of activities within the home for the person with dementia – and around the garden, if appropriate. These types of activities ensure that they feel involved and needed, providing a sense of normality. They can also help to improve a person’s self-esteem by demonstrating that they can still manage useful tasks. These activities can be very enjoyable and can usually be adapted to a person’s abilities. Depending on the stage of dementia it may be that they can be continued with the help of a family member or carer, or with reminders and to-do lists left about the home. There are plenty of safe, simple tasks both indoors and outdoors that can provide opportunity for meaningful activity – such as washing up, cleaning or watering plants. Usually people particularly enjoy activities that reflect past interests and hobbies – and this can be a fantastic way to help them to retain skills. Examples include cooking a favourite meal or helping in the garden. The end result may not be perfect of course – but this is far less important than the sense of achievement and involvement. Even when other abilities are severely affected, many people still enjoy listening to music and activities relating to it. Interestingly, musical memory is often retained when most other memories are lost – which is why a person may be able to sing a tune or remember lyrics even when they are in the later stages of the disease. The good news is that there are many ways to enjoy music, including listening, singing and dancing. Studies have shown that music can improve someone’s mood, behaviour and wellbeing – so it’s a good all-rounder and an incredibly versatile medium that lends itself to a wide range of activities. Music can even be combined with physical activities (through dance or movement to rhythm), providing an opportunity for exercise and non-verbal communication. As they are tied so strongly to the memory even when others have gone, favourite songs can also be powerful prompts to reminiscence. People with dementia can often remember the distant past much more easily than recent events. Living with dementia can take its toll emotionally – as confusion and forgetfulness becomes a part of everyday life. For this reason activities focusing on reminiscence can greatly improve mood and wellbeing, promoting social inclusion and helping the person to feel valued. This is a good way of helping relatives and friends stay connected to the person as well – especially younger generations. There are numerous ways to initiate conversation and participation in reminiscence, including looking through old photos, creating a ‘life story’ book or memory box. Activities involving reminiscence should focus on the individual and their unique experiences; as their treasured memories will have helped shape their present identity. Involve them heavily in the process and be guided by them – it is their life history after all, and discussing it together will be engaging and enriching for them. Do be mindful of the fact that reminiscing can sometimes be uncomfortable or unpleasant for people – so take guidance from the individual and ask them whether they would like to revisit the past or not. – Collecting and looking at tangible items are an effective way of triggering special memories. These could be photos or objects with particular significance to the person such as a necklace or piece of clothing. Handling things physically has an added sensory benefit and can further aid in recollecting memories. – Together make up a ‘memory box’, life story book or display board that captures important elements of the person’s life. – Organise a visit to a favourite place or somewhere the person used to live or frequent often. This can prompt happy memories and provide a fantastic opportunity to get out and about. – Reminiscence may uncover other unknown activities or interests that the person has previously enjoyed – so this could help you to find additional things to enjoy together. By nature, dementia can be isolating. Fortunately there are many opportunities for activity and engagement in the local community for people with dementia – along with their families, friends and carers. Activities don’t necessarily need to come in the form of groups specifically set up for people with dementia. Many common establishments within the community such as art galleries, places of worship, museums and pubs can provide meaningful stimulation and enjoyment. If a person with dementia already has links to a community group it is important to maintain these where possible – as it extends a vital social lifeline and provides an opportunity for interaction and communication. As dementia progresses, it becomes harder for the person affected to carry out simple tasks as they struggle with confusion and cognitive difficulties. Tasks that are very familiar to them may become more complicated – but the good news is that many activities can be simplified and adapted for dementia in the later stages. Explore options that are stimulating but don’t involve too many challenges or choices. Dementia often affects concentration – so the person may not be able to focus on what they are doing for very long. For this reason it’s often a good idea to do activities in short bursts. Motivation can also be affected by dementia – so you may need to prompt and help a person to get started and maintain interest throughout an activity. Break instructions down into bite-size chunks and try to make sure each step of the task is simple and easy to complete. The person may not always appear to be enthusiastic about planned activities and might not want to participate – don’t be disheartened or try to be overly encouraging, instead try again another time or suggest something different. Activities that involve an easy, repetitive action and simple steps such as sweeping, dusting or watering plants are all great options. Structure can also be beneficial for people with dementia – so folding or sorting things can be simple but rewarding tasks. As mentioned above, focusing on ‘normal’ everyday life, such as helping to dust or tidy up the garden is important in giving people a sense of feeling useful and valued – even in the later stages of dementia. Sensory stimulation is incredibly important for people with dementia. With numerous emotional and physical benefits, activities incorporating a sensory element can improve wellbeing and quality of life significantly. 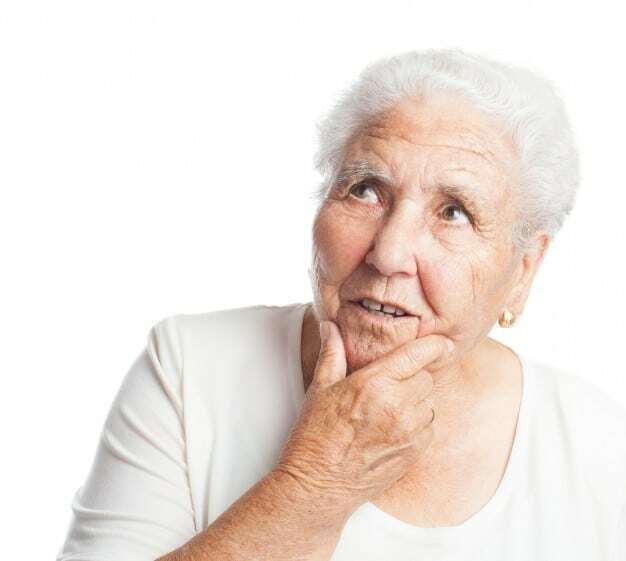 During the later stages of dementia, people often develop increased difficulties with reasoning and language, resulting in an inability to process information or communicate through words – all of which can isolate them from the world around them. Their senses therefore can act as a gateway to their immediate and wider environment, opening up communication and understanding again. – Encouraging the person with dementia to touch or stroke tactile or soft pieces of fabric, dolls or cuddly toys. – Gentle massage – such as a hand, foot or head massage. This can be very soothing for those who enjoy touch. Scented oils or creams can further enhance the experiences. – Continue to take the time to sit and talk to the person, chatting about daily events, reminiscing or reading out loud to them. This has multiple benefits, as being with somebody sends out a powerful message that they are valued and worth spending time with. – Where possible ensure that the person is visually stimulated by something pleasant in their immediate environment – such as a painting on the wall, a fish tank, or a window with a nice view. This may have a calming effect. – Make sure the person has a regular change of scenery – taking them out to new places or familiar ones can offer the stimulation of fresh air and the outdoor environment. – If you’re visiting a person living in a care home there are several ways you can help them to feel included and active. Maybe you could take a short walk with them, even if it is just down the corridor, or bring in something of interest from outside the care home such as flowers or a seashell. If you spend time with someone with dementia, it’s better to support and encourage them to do whatever they can for themselves rather than doing it for them. This can be difficult – as it’s understandably frustrating to watch something being done slowly when you could do it quicker and easier to do it yourself. Even if the person is struggling with a task, try to resist the temptation to take over. If you do, they may lose confidence and withdraw from engaging in activities. If you do need to offer help, try to do things with the person rather than for them. Show them an example, and ask them to copy it – or figure it out together. This will help them feel involved and capable, and prove that you are not taking over or questioning their ability. Focus on what the person can do – not what they can’t. Activities should always be adjusted as necessary based on a person’s interests and abilities. Be patient and tactful and allow plenty of time for tasks, offering praise, reassurance and encouragement. When tackling a more complex activity, a new skill or something the person has started to struggle with, break tasks down into small, easy to digest sections. For example, they may find it easier to continue dressing themselves if you put the clothes out for them in the order that they need to put them on. Non-verbal communication is incredibly important – so try gesturing, demonstrating, or guiding an action alongside spoken instructions. You may find that they are also struggling with their daily hygiene. Here is a useful article that gives you 5 ways to spot if someone is struggling with their dementia hygiene. One of the key symptoms of dementia is of course memory loss – and this can understandably be frustrating and distressing for those suffering with the condition. – A large-form clock with the date and time. You can read more about the benefits of a dementia clock here. There are lots of charities and organisations, such as dementia UK, operating throughout the UK that are specifically set up to support people with dementia and their families. They’re often a great source of information and guidance – but they also provide groups, activities and counselling. You can also get in touch with your GP, social services or your local memory service to help you to improve the person’s quality of life and obtain advice that is specific to their needs and situation. These professionals may also be able to provide referrals or recommendations of products or groups that could be beneficial.